Introduction: This project begins a long time dream -- that of writing a commentary on the New Testament incorporating the insights gleaned from over thirty years of ministry in higher education at all levels -- undergraduate, masters, and mostly at doctoral -- and in the local church. The completion of the project will spann the remaining decades of my life and ministry. At the beginning of this, I'm sixty years of age hoping for at least two more decades of living. Also, the project is intentionally being created in electronic format rather than print format. The reader will thus be able to take advantage of the additional features of quick references and pop-up screens adding comments etc. to the main discussion. Additionally, the reader can print out just the selections of material that prove to be useful. The basic format for the commentary is the Adobe Acrobat PDF. Several advantages of this format over the html format dictated this decision. For one thing, the desired page format can be controlled in the production of the commentary. You as the reader see the exact screen image that I as the writer created. While not always critical, on occasion this will be very important for understanding what is being presented. Another advantage is cost. The commentary is intentionally being made available without charge via our URL Cranfordville.com.® My desire is for it to be a gift to the Christian community, hopefully advancing the understanding of the religious movement begun by Jesus of Nazareth over two thousand years ago. My only request is that proper bibliographic citation would be given when materials from the commentary are used in publications etc. Explanation of Format: A brief explanation of how the commentary is laid out should help you the reader save time in finding the desired material. 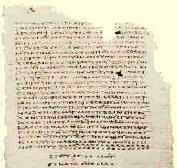 Each book of the New Testament will be broken down into natural literary units termed pericopes. 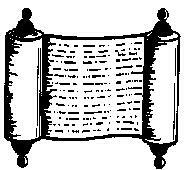 A commentary document will be created for each pericope so that each file will not become excessively long. Most of the files should range between 35 and 50 pages. The use of the free Adobe Acrobat Reader in the current version for viewing each document will not only enable the reader to quickly go to desired section but also to print out only the desired pages within each file, or the entire document file at once if so desired. The intent is to provide a commentary taking the reader from the initial parsing analysis of the Greek text through the interpretative process that concludes with sermonic and devotional insights. Both the person skilled in reading the Greek text [the red block material] as well as the Bible student who must depend on English language translations [the yellow block material] will find helpful materials. For the reader working only from the English translation the most helpful sections above are going to be Translations, Exposition, Exegetical Outline, Expositional Outline, and Sermon Brief. The student working from the Greek text will additionally profit from the other sections, which deal more directly with the Greek text analysis at the individual word, sentence, and paragraph levels. The Bibliography will provide extensive sources for additional study, mostly of the pericope under consideration in each study.